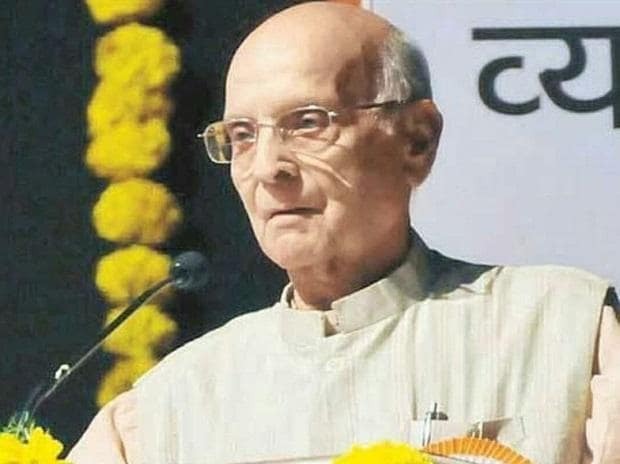 Former Justice of the Bombay High Court Chandrashekhar Shankar Dharmadhikari died at a private hospital here in Maharashtra in the wee hours of Thursday. He was 91. Justice Dharmadhikari was not keeping well and two days back he was admitted to the private hospital where he suffered a cardiac arrest on Wednesday night, a source said. He breathed his last around 1 am on Thursday, he said. He is survived by two sons, senior Bombay HC judge Satyaranjan Dharmadhikari and senior lawyer Ashutosh Dharmadhikari, and daughter Dr Aruna Patil. Justice Dharmadhikari was awarded the Padma Bhushan in 2003. He was born on November 20, 1927 at Raipur (then in Madhya Pradesh). After graduating in law from Nagpur, he enrolled as an advocate of the Nagpur bench of the high court in 1956. During his legal practice, he served as government pleader before being appointed judge of the Bombay High Court in 1972. He retired on November 20, 1989. Maharashtra Governor C Vidyasagar Rao expressed grief over his demise and said the state has lost a staunch Gandhian and humanist. "Coming from the family of freedom fighters, Justice Dharmadhikari had imbibed Gandhian values right from his childhood. He distinguished himself as one of the finest judges of the Bombay High Court who was associated with some of the most important judgements," he said. Rao said Justice Dharmadhikari was an outstanding orator and writer, and championed the cause of rural development, dignity of labour and promotion of khadi. "He had spoken on the theme 'Gandhian Values' at the Raj Bhawan in Mumbai barely three months ago on Gandhi Jayanti (October 2). I pay my respects to the abiding memory of late Justice Dharmadhikari and convey my deepest condolences to his family," the governor said. Chief Minister Devendra Fadnavis also condoled Justice Dharmadhikari's demise, saying he was a stickler for principles and an inspiration for the new generation. "Justice Dharamadhikari carried forward the legacy of social responsibility of his father late Dada Dharmadhikari. He worked for the spread of Gandhian values till his last. He had also guided the state government from time to time," he said. Tamil Nadu Governor Banwarilal Purohit said Dharmadhikari's demise was a great loss for society and a personal loss for him. "He was a towering personality who made a significant contribution towards the betterment of society. He was a scholar, an erudite speaker, a thinker and legal luminary who inspired a generation of lawyers," he said. Purohit said he had a long association with Justice Dharmadhikari as they both worked together in social and educational fields.